Bagan – it’s Myanmar’s most extravagant temple site and THE reason this formerly difficult-to-visit country has become one of the hottest destinations for intrepid travel in Asia. Jump aboard a slow boat on the Ayeyarwaddy River, float above this vast religious landscape in a hot air balloon, or cycle through it, losing yourself in a sea of 1000-year-old gilded stupas and stuccoed temples and you’ll soon know why! After decades of famously difficult travel, Myanmar has come online with easy advance visas, ATMs and budget flights, making Bagan easier to discover than ever before. 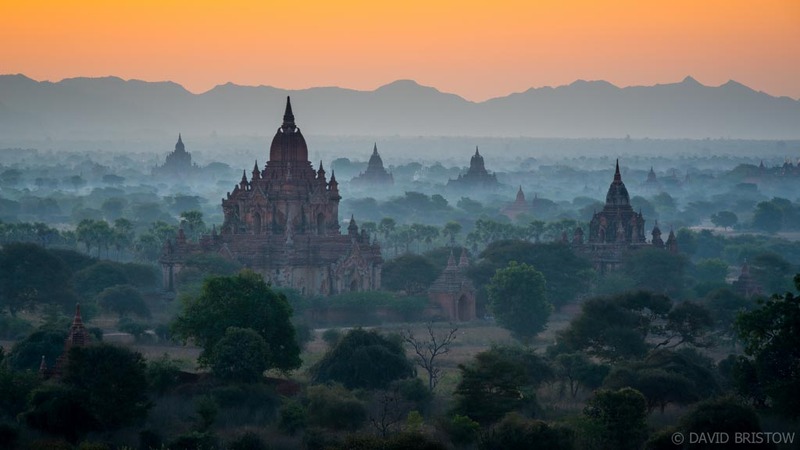 With more than 3000 temples scattered across Bagan’s endless, ancient plains, filling a couple of days is easy. Start with a guided tour of the most famous stupas, then shake off the crowds, pocket your phone and lose yourself in rarely-visited payas where you’ll meet local hawkers and sit cross-legged with faithful pilgrims in utterly authentic days (somewhere) in Bagan. If Bagan is on your travel wish list (and it should be), plot your escape and tackle these top four adventures in Burma’s original kingdom. This ancient pyramid is one of Bagan’s secret sunrise spots, elevating early risers above the plains to watch the dusty, dry season sky lighten. Pretty soon, a stream of hot air balloons appears on the horizon, seeming to rise out of the temples themselves before drifting slowly across the sky, rising and falling in a deeply meditative dance. Bupedi is located within easy reach of the hotel strip at Nyaung U so if you’re feeling adventurous, you could don a head torch and a hire bike and start the day with a thrilling pre-dawn ride. Losing ourselves on dusty trails, we chance upon a rarely-visited paya where our torch beams guide us past serenely smiling Buddhas and dangling snake skins as we claim a perfect viewpoint over Bagan for ourselves. We squeeze and stoop through impossibly narrow archways that open into airy alcoves with intricate murals, and dare ourselves into monastic cells stuffed with treasured Buddhist artifacts. Before you get templed out amidst Bagan’s baffling, gilded grandeur, pocket that phone and point your wheels towards the most intriguing stone structure you can see. Get yourself lost and you’re bound to make the discovery of your trip. For not much more than the cost of a couple of rental bicycles you can ride a horse cart around Bagan, discovering (with the expert aid of your local guide and horseman), some the best and lesser-known temples around. Travelling by horse cart is the ultimate in slow travel, and if you’ve got kids with you, jumping aboard is no-brainer: total fun! Bagan’s big-ticket 1000-year-old temples are über impressive, so you’ll want to tick off at least a few of iconic sites. The good news is you don’t have to muscle your way through Chinese tour groups to do it. Shwesandaw Paya creates a big fuss but is simply overrun at sunset. I found sunset over the temple itself, rather than its view, far more appealing, and best witnessed from a tiny, atmospheric temple close by where local children light candles to illuminate the impossibly narrow staircase to the top. Sulamani Pahto is probably my favourite temple to visit, but its popularity means you should get there early for much-needed solitude. Flying under the radar are the surprising frescos inside Upali ̈Thein (overshadowed by the crowded scene at nearby Gubyaukgyi) and Mingalazedi Paya for its stunning terraces adorned with beautiful glazed Jataka tiles.